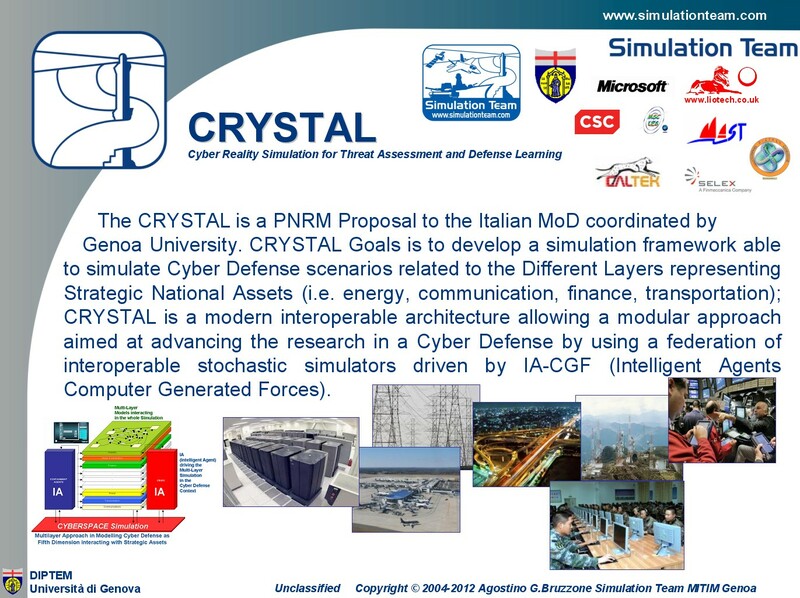 The CRYSTAL is a PNRM Proposal to the Italian MoD coordinated by Genoa University. CRYSTAL Goals is to develop a simulation framework able to simulate Cyber Defense scenarios related to the Different Layers representing Strategic National Assets (i.e. energy, communication, finance, transportation); CRYSTAL is a modern interoperable architecture allowing a modular approach aimed at advancing the research in a Cyber Defense by using a federation of interoperable stochastic simulators driven by IA-CGF (Intelligent Agents Computer Generated Forces).